So excited to participate in this team show! I love SFEtsy about as much if not more than Etsy itself. I have had the pleasure to work and surround myself with such creative minds and admirable business people that it sometimes I have to remind myself I’m not dreaming. We are doing a very large show (nearly 200 vendors) at Pier 35 in the Embarcadero this Small Business Saturday and Sunday November 29 & 30 from 11am-5pm both days. We are doing something special for the first 50 people in line! We are giving out a free Shop Small canvas tote with loads of free goodies/samples from SFEtsy members, free Etsy swag, as well as an SFEtsy team coupon card to use at the event! So be sure to get there early! Today is #singlesday! Although I am not single anymore, I do appreciate what today stands for; individuality, the courage to be and celebrate one’s self and the search for love. Today is the ultimate #selfie. 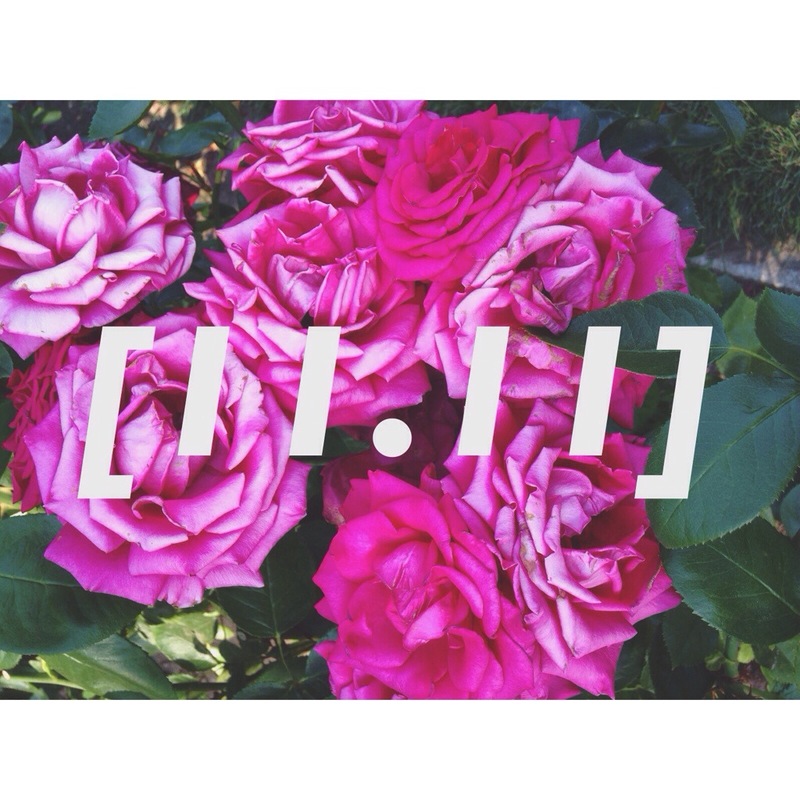 Enjoy 11% off in the entire shop, today only until 12am, 11.12. NEWS & UPDATE: Miss JJV is Now a Mrs! Yes. I’ve been a bad bad lady- I haven’t updated you JJV lovers in so long it’s a crying shame. But I swear I have a good excuse! For the past year I was planning my wedding which basically was like having a part-time job in addition to my full-time job as a fashion photographer at Byer California, and of course nurturing my beloved baby JJV. Eek! If you were following us on Instagram, you probably saw the hashtag #jillianelvis2014 thrown around…it was for all the mobile photos of the wedding! Check it out and see! Also, here are a few of my favorite shots my friends and family took of our day. 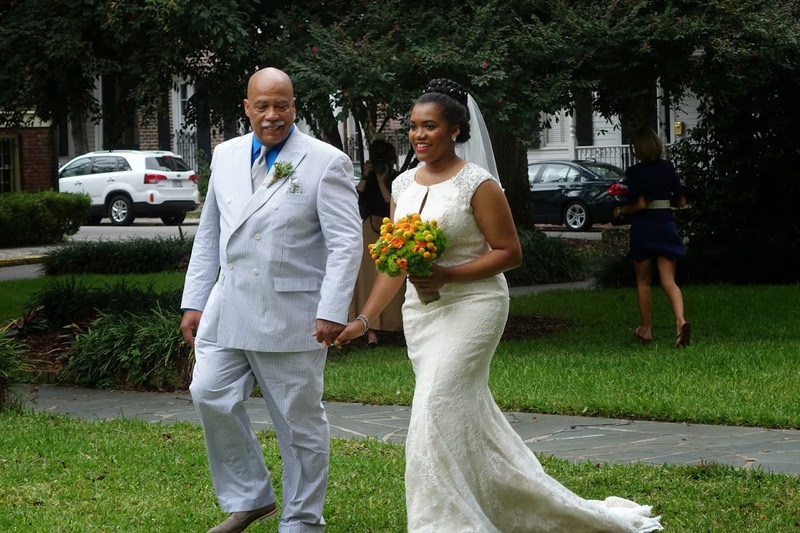 And Greg Ceo, my fashion photography professor at SCAD, was the photographer for our big day! I have included a few of his shots for you as well! 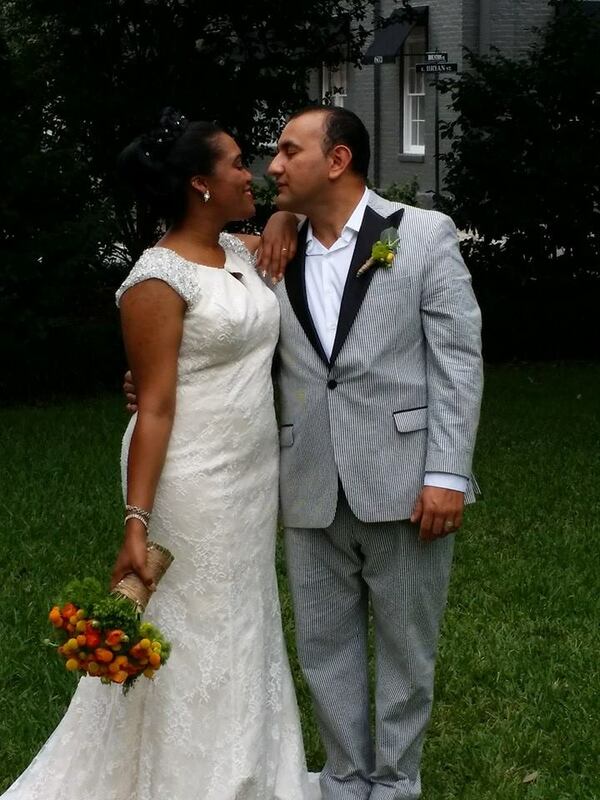 We got married in Savannah, GA this past September in Washington Square and rented Brockington Hall for our reception. It was really important to us to use local vendors and our family and friends’ talents and skills to make our day super special. Not to mention it saves you lots of time and money! 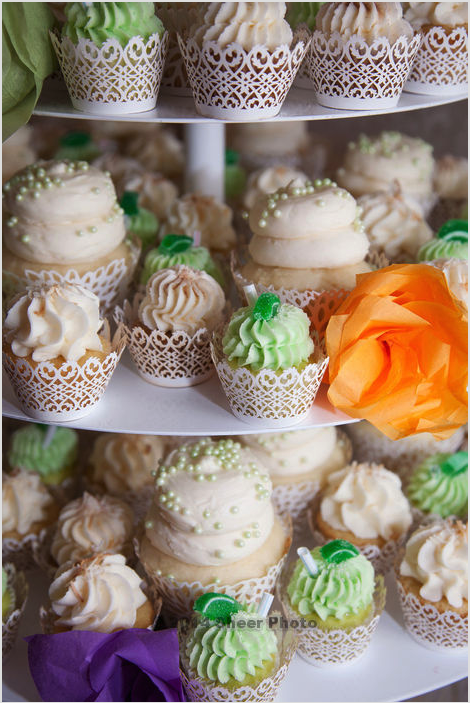 We also wanted to make sure our wedding was as eco friendly and environmentally conscious as possible. Our wedding invites- which were designed by my friend Katie Smith (also a SCAD alum), were 95% digital and the ones that were printed were printed on eco-friendly paper. My bridesmaids were my girl power group. 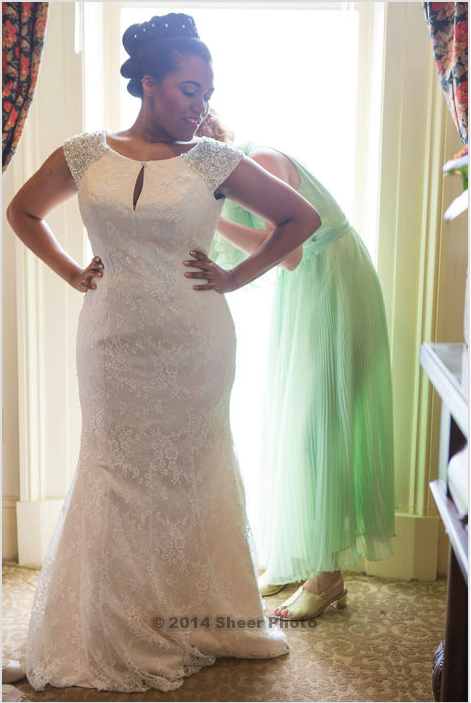 I had seven bridesmaids and I didn’t want to go through all that nonsense about picking a dress and MAKING them wear it. I love my friends as they are and I wanted their spirit to shine through. I gave them a color palate and told them to pick greens within the specified spectrum. And most importantly, I wanted them to pick something that was 100% their personality. My ladies came through for me more than a handful of times; from picking up hundreds of dollars of wine and beer from Trader Joes and driving it from Atlanta to Savannah for our bar, to singing and entertaining our guests, styling me and fixing my dress, going to fittings and making sure I actually ate and had a drink in my hand on the day of the wedding. 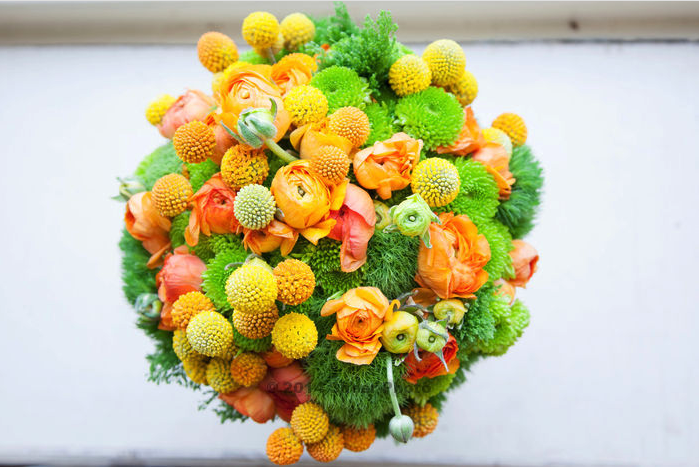 Finding a good florist who has unique design sense, love for the craft and who is just downright talented can be tough. 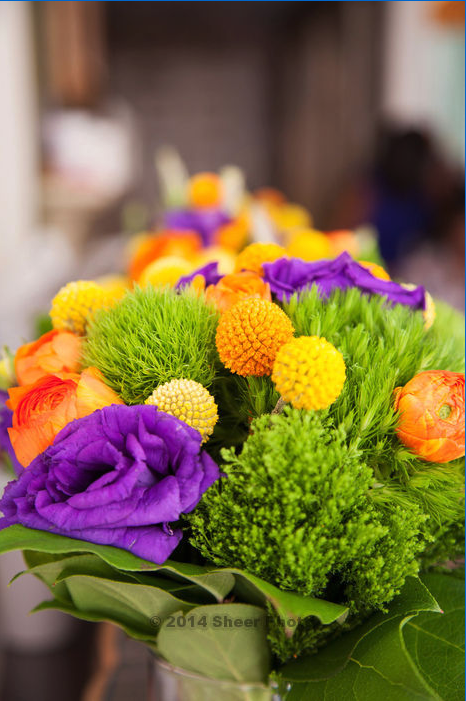 But once I found Maria Kato of Kato Floral Designs, I was totally convinced. I must say she was the most professional and sweetest woman ever. Her flowers were simply amazing and when I saw the sneak peek before the wedding I totally cried. Yes- cried. And on top of that, her husband is a SCAD professor! We got bouquets for the bridesmaids and they had a dual purpose too- they were also used on the tables for the centerpieces in addition to the Mexican paper flowers we made in San Francisco for a girl’s crafternoon brunch! Our reverend was Reverend Schulte– the coolest guy around! He read our entire ceremony from his iPad. I love a good tech fanatic. He also wore a seersucker suit, and he looked super dapper! 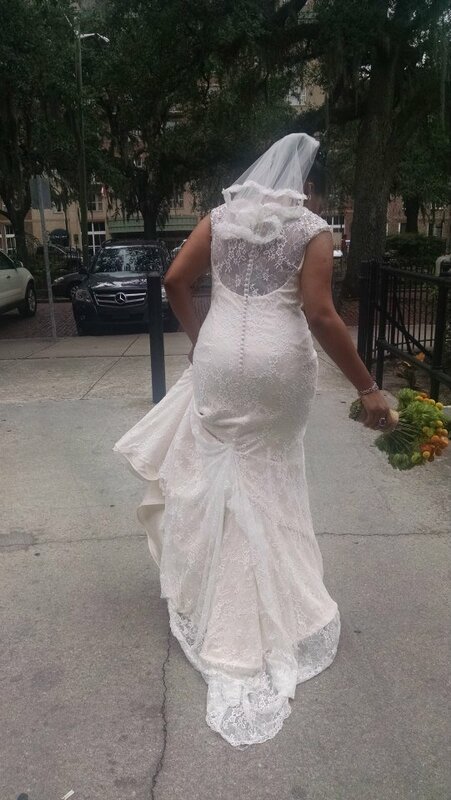 Our catering was by Zunzi’s Takeout; one of the most famous restaurants in Savannah. They are legendary. I used to eat here almost every week when I went to SCAD. It is South African and Mediterranean food and it’s super addictive. The owner, Gabby, is so truthful, genuine and absolutely hands-down loves what she does. She inspires me to be a better business woman. 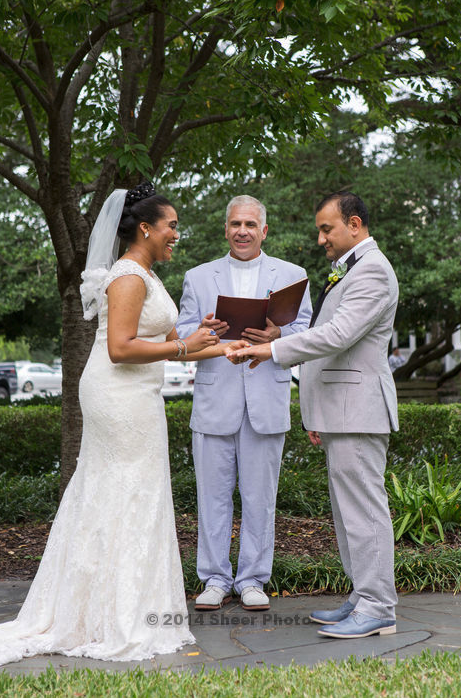 But pulling together a destination wedding from another coast would have been ridiculously impossible without the help of my planner and saving grace Vanessa Saturday from Spectacular Saturdays. Vanessa was so incredible and calmed me down when I freaked out (even though I promised myself I wouldn’t) and she really did an excellent job juggling everything that needed to happen on our big day. I really couldn’t have done it without her. Our day was so magical and I want to thank everyone who supported us, loved us and was there for us to help us down the aisle. It was the greatest day I could have imagined and everything was worth it! 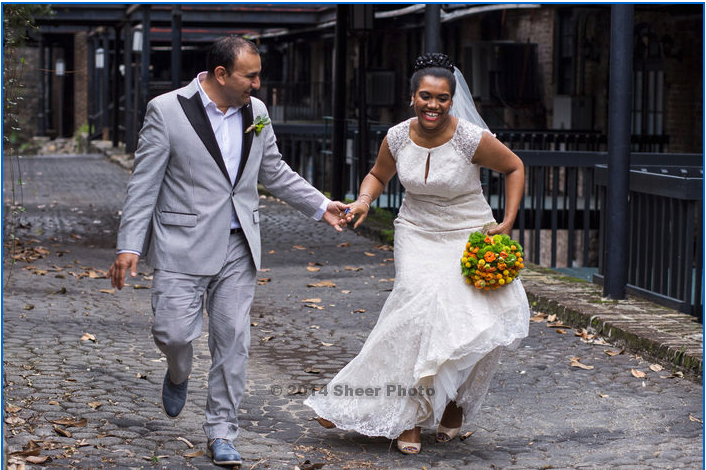 I truly believe that going through the process of prepping and having a wedding, it is a test to prove to yourself and your mate that you are doing the right thing. My experience showed me who my true friends were, who loved me and supported my relationship. It was a beautiful (and sometimes painful) eye-opening experience. But honestly, I think those things were meant to happen to make us better together. I feel I grew faster in the year prepping for our wedding than I have in all my twenty-something years. My advice for the bride-to-be reading this would be to stick to your gut. DO what makes you smile, what you know you would want and you don’t have to please EVERYONE. DON’T cater to every single person at your event because you will be unhappy and you will sacrifice your vision. You will have regrets, and honey- that is the day you should feel nothing but joy. This is the only day you get to be as creative, outlandish or cooky as you want! This day is all about you and your soulmate and ultimately, the decisions come down to the two of you. SHOP NEWS & EVENTS: 4th of July Sale + Pop Up Shops and Local Events! I’ve been a busy lady these past few months! Not only have I begun working professionally as a photographer for a local fashion company (finally), but I’ve also been juggling the planning of my upcoming nuptials! It’s been a bit crazy, but honestly I wouldn’t have it any other way. But first thing’s first- you’re probably like hey, you mentioned a sale…I wanna know! 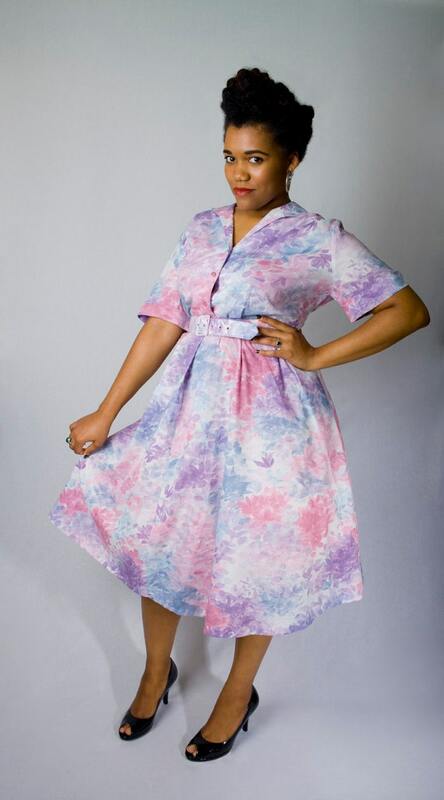 Right now, through Sunday 07/06/14 the ENTIRE shop is 20% off! 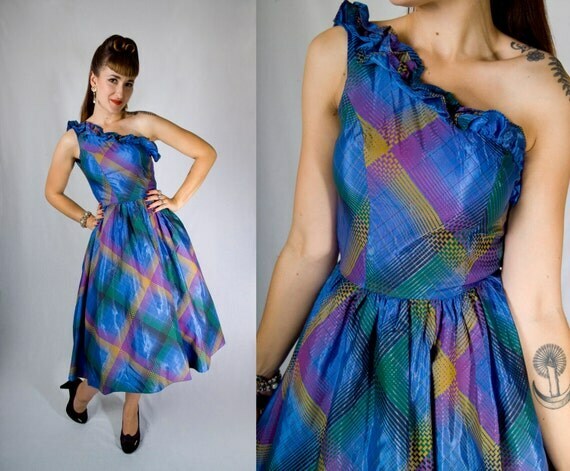 Visit Joules Jewels Vintage to take a look-see at what we have up our sleeves. Okay, now back to it. As if I didn’t have enough going on these days, I have decided that my schedule isn’t full enough (call me crazy) and I’ve added two shows and will be opening up our Mission location twice a month (2nd and last weekends of July and August) where we will feature an artist and a designer to showcase and sell their work. They don’t call it summer of love for nothing! We are still looking for designers and artists to fill some spots, so if you’re interested, comment below with your email or send me a note to info [at] jjvshop.com. You can also DM me on Instagram with a sample of your work @jjoules. The first show coming up is this Sunday. Concept 47 in Oakland is a shop that features beauty products and goods from over 40 local vendors and they are turning one this weekend! We will be there with red, white and blue bunting in tow- selling from 1pm-7pm. 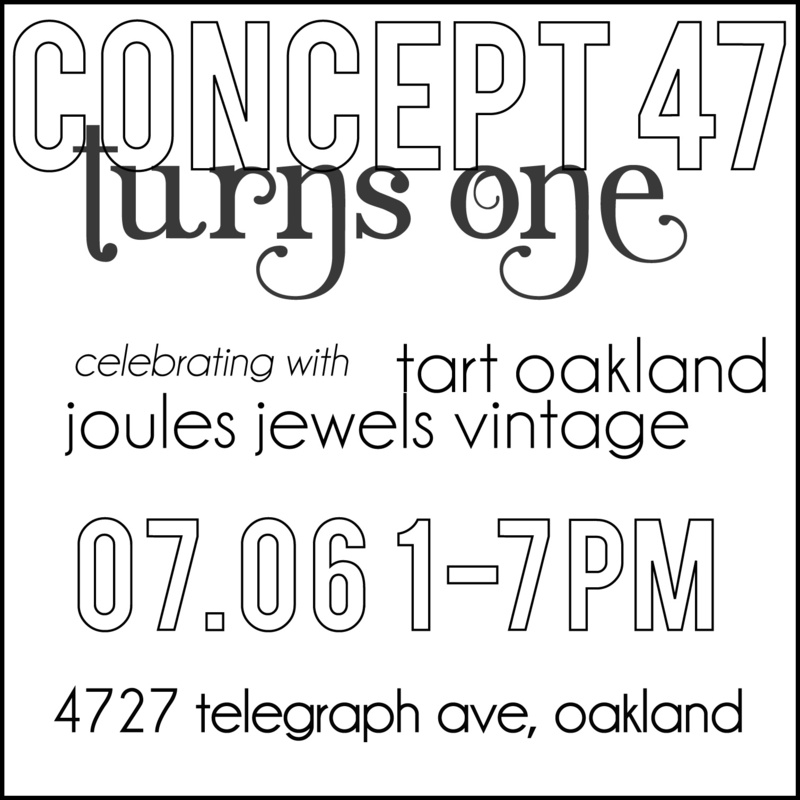 Come shop Concept 47, Joules Jewels Vintage and be sure to grab yourself a slice of independence pie from Shawn of Tart Oakland! The second show is Kawaiiland on August 2 at Ruby Skye! Sponsored and produced by Ninja Crate and Studio KuNu, this show celebrates everything Kawaii, JPop and street style! I’ll be showcasing insane and show-stopping vintage fashions on the cutest runway in San Francisco; see looks from gowns to downtown style. But don’t worry, these looks aren’t just for show and tell. You can buy the looks you love right off the runway! Purchase your tickets here before they’re all gone! $15 each, more at the door. Don’t be a stranger! See you there! But just in case you can’t wait to see me, check out this awesome street style photo on The Avant-Gardist! I went to school in Savannah, Georgia. I spent summers as a kid in Atlanta where I fell in love with wrap-around porches and dreamt of dogwood and magnolia trees. I spent summers at my great aunts’ house in South Carolina (their house even had a well in the back yard) where I learned that you can make delicious pound cake from scratch by using your hands instead of measuring cups. I know the south. I have a love affair with it. Fun fact: when I was born, my mother planted a dogwood tree in the front yard of my family’s Washington, DC home. Every year around my birthday, (February) I would watch to find the first buds of the year. It was an annual celebration I could count on. Happy Birthday to me! 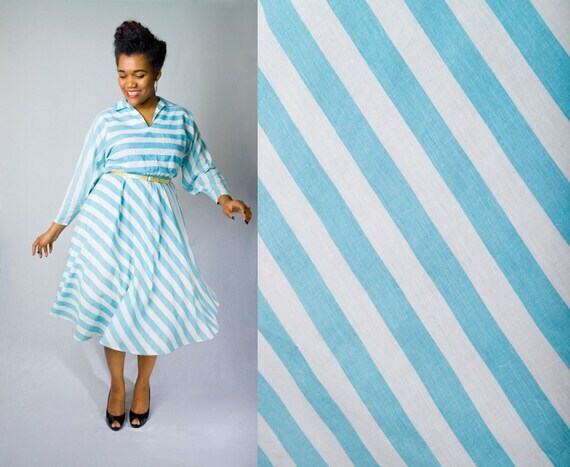 With the Kentucky Derby on our heels, you can dust off your big hat and garden party frocks. And if you don’t have one- you know where to find one! Head on over to the shop, for our spring and summer faves and get derby ready! 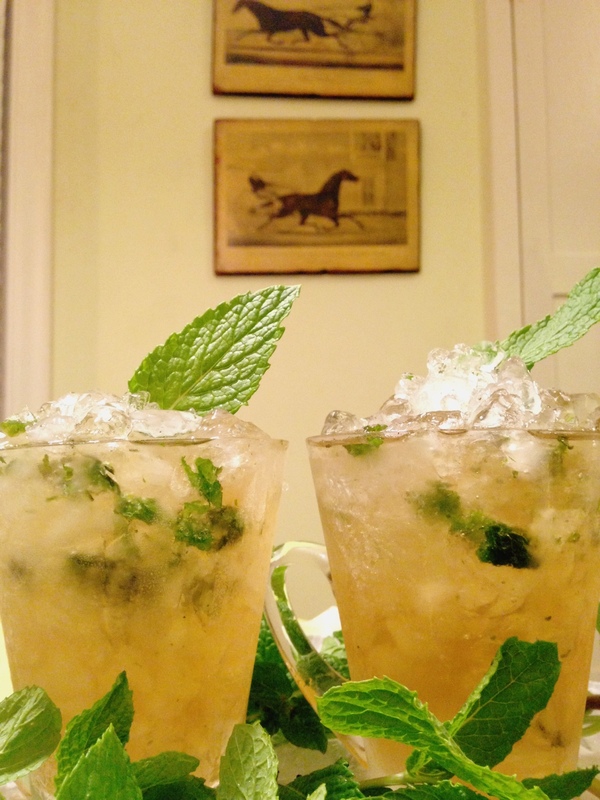 No matter what your proximity to the Kentucky Derby- you can feel like a southern belle (or gentleman) with my very own (and coveted) mint julep recipe. If there is one thing I have learned on my many visits below the Mason Dixon, a well-crafted cocktail is a must. If you saw my post on Instagram about how I chose to preserve farmers market fresh mint, you will know I am a stickler for freshness and proper food prep. If you missed it, here is a quick summary. Obviously you would have to prep your mint ice the night before your derby celebration, so you better hop to it! Also, the night before you should prep your simple syrup. I like using turbinado raw sugar for many reasons, but the most important reason is FLAVOR. Turbinado sugar has a deep rich flavor that is not too sweet and when you make your simple syrup the way I do, it has a caramel flavor that compliments bourbon in the most satisfying way. The number of cocktails you plan on making will determine how much simple syrup you need to make. I use a ratio of 1:1 sugar to water. 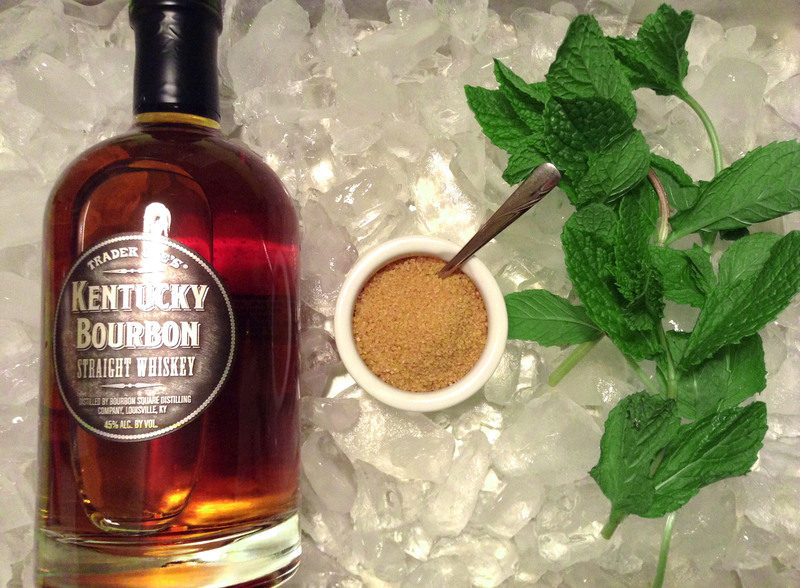 This recipe will make enough mint juleps to serve four. 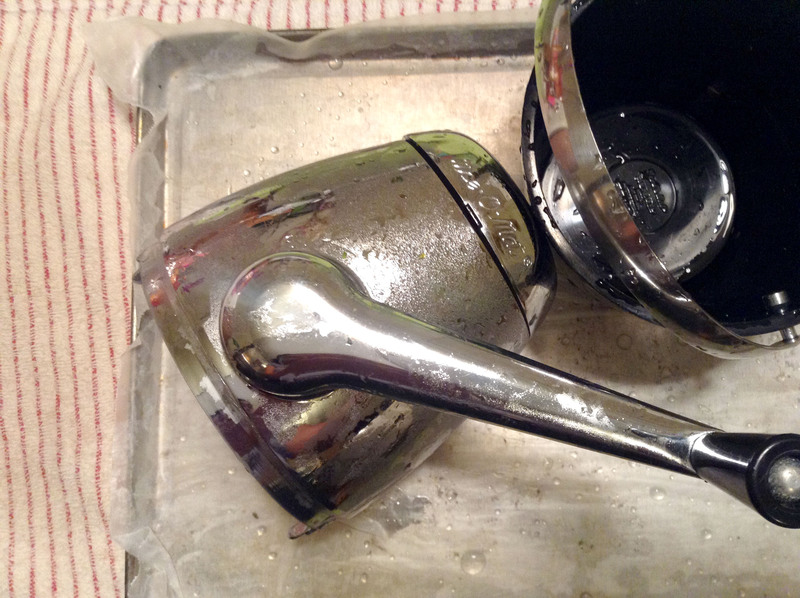 Take 2 cups of sugar and pour in a small saucepan. Measure 2 cups of COLD water and slowly add it to the sugar in the pot, slowly stirring as you go. After adding all the water, allow the mixture to boil- stirring occasionally. Remember those stems and “bad leaves” of mint you separated when making your mint ice? Use them here! Add the stems and leaves to the boiling pot and stir. Turn the fire down to medium low and allow the pot to simmer. You will begin to smell the minty goodness and check to see what the consistency of the water is. If it sticks to the surface of a metal spoon, it’s ready to go! Turn the fire off and take a slotted spoon and promptly remove the mint. Allow the syrup to cool (the mixture will become thicker as it cools). Once room temperature, store the syrup in a glass jar in the fridge. TIP: Simple syrup is so great to have on hand, and it lasts forever in your fridge! Combine 1/2 cup minty simple syrup and 2 cups Kentucky bourbon in a cocktail shaker (you can also use a mason jar with a lid) and shake until well combined (you can add more simple syrup to taste). Add more ice on top and a leaf of mint for garnish. You’re all set to enjoy a day at the races! My vintage crank ice crusher! Check out my antique horse racing wall hangings from Vanity Fair art inserts way back when! To kick off the races and give you an even more refreshing feeling all year ’round, Cottonelle is promoting a sweepstakes! The Cottonelle Great Finish Sweepstakes is a giveaway that will reward Americans with a year supply of Cottonelle products should the No. 1 and No. 2 positioned racehorses place in that order during the Kentucky Derby. People looking to get in on the action can sign up at the Cottonelle website. The first 15,000 entrants to sign up will be awarded a year’s supply of Cottonelle toilet paper and flushable cleansing cloths if the outcome aligns. Woohoo! How refreshing is that!? 1. Visit the Cottonelle sweeps page. Good luck everyone and drink responsibly! Thanks to Cottonelle for sponsoring this post and keeping me fresh in The West! As you have probably come to find out, I love to travel and I do it often. I travel for vacation and for work, and the most important thing for me is expressing my personal style even when I am on the go. This Sunday, I will be heading to LA to sell at the Rosebowl Flea Market with my friend Allyson like we did last year with her friend Sonja, from Sunday Girl Finds, and I must say traveling down the coast and staying on top of your style is harder than you might think. But with the flux in temperatures from NorCal to SoCal, and the height of allergy season wreaking havoc on my sinuses, I have found a no brainer solution to keep myself together during my travels. Kleenex has been a go-to product for stylish people everywhere for over 90 years (happy anniversary Kleenex!) and they are bringing even more style to our lives with their brand spanking new Kleenex Style Studio. They have a whole new line of pocket sized tissue packs that are perfect for when I am on the go, and they fit just about anywhere. Not to mention, the packs come in a variety of prints and styles, so you can match them to your outfits or your mood! You can bet I will be taking my Kleenex packs to LA this weekend, I absolutely adore this city print on the packaging. I also have made a habit of cleaning my bathroom from top to bottom before I take a trip. I always put a Kleenex tissue box in my bathroom so when I come home from a long day of traveling, I see a perfectly cleaned and arranged bathroom and I instantly relax. You may think it’s weird, but just trust me and give it a try. There are so many great designs, that I’m sure you will find one that suits your personality. I found this awesome geo tribal/Moroccan design, which I always gravitate towards. The bright colors are so perfect and they express my unique style. Kleenex just partnered with Isaac Mizrahi (one of my favorite fashion personalities and designers) to create four designs which are not only inspirational, but will most certainly help you elevate and express your personal style while keeping you on trend. Check out the Kleenex style finder, take the quiz and watch videos featuring Isaac Mizrahi where he provides his latest style advice and shares his own experience as a design leader for more than two decades. I just love the Andy Warhol and pop art inspired designs, and I most definitely love the oval box! How chic?! No wonder Kleenex has been exhibited in the MoMA twice! 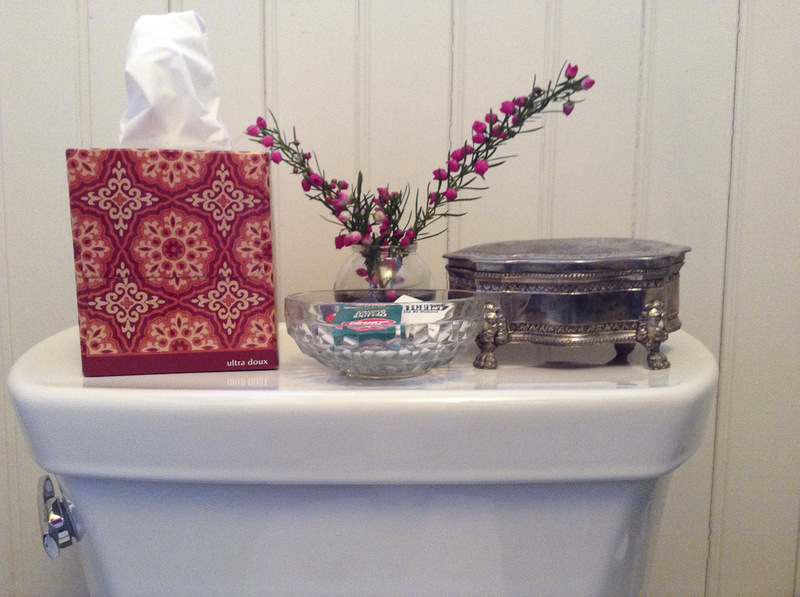 Check out my Pinterest to see more of my favorite designs and Kleenex trivia! Now you know a little one of my tricks to keep me stylish on the go. 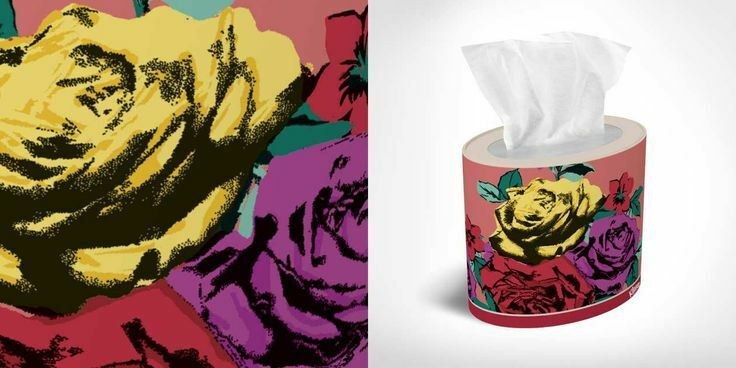 What’s your favorite Kleenex design? I hope to see you all in LA at The Rosebowl! Thank you Kleenex for sponsoring this post and keeping me stylish on the go! 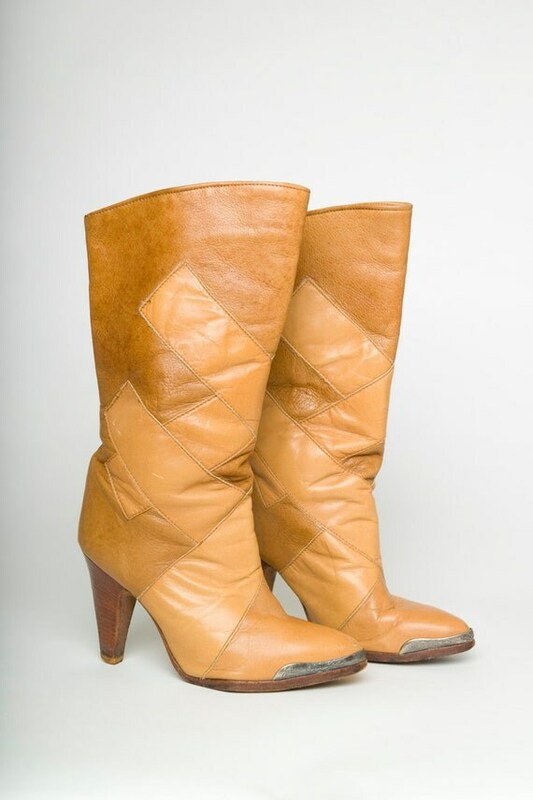 SHOPPING & UPDATE: New Items In Stock + Customer Photos! I would be remiss if I said I didn’t feel guilty for not posting more and updating you all on the great and fabulous things happening in the land of JJV, not to mention in my life personally. So much has happened since my post about participating in Black Market SF, that I guess the only thing to do would be to start from there. Black Market SF is probably one of my favorite new pop up markets in San Francisco. It’s a night market with a super chill and cool vibe and it is RSVP only. Yes, honey. So if you want to make sure you get in, you need to hop to it and get a ticket. Be sure to visit their website and tell them Jillian sent you. The next event is April 19th (I won’t be selling this month due to some awesome surprises coming up), and you should make sure you join the fun. The most exciting news for me is that this year I am getting married! You probably remember my Paris trip and all the goodies I got there- but what I didn’t tell you is I also got engaged, and I wanted to hold on to that feeling for a bit before telling the whole world. But if you have taken a look at my Pinterest lately, you have more than likely noticed my huge board of Wedding Inspirations. And if you want, I will be happy to post about any wedding DIY projects I will be working on with one of my nine- yes NINE bridesmaids (I love them too much to not have them next to me). 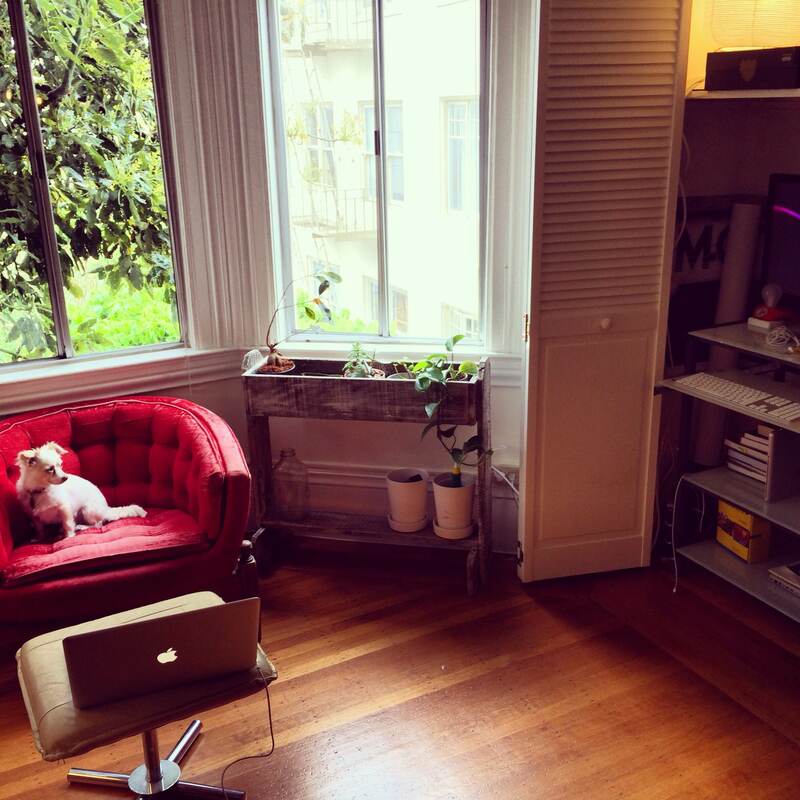 Now, on to some awesome customer photos! I sold these pieces from the shop and these lovelies were so great to send me photos of how JJV furniture revved up their decor! Check it out! I love this chair! Every time I find them, I fall in love! This chair is perfect at this desk and the color is superb for the room! Click the photo to see more info. This awesome reclaimed wood planter box looks so perfect by the window! For all of you who have just been jonesing for new merch in the shop, don’t fret! We are creeping our inventory levels up and we are almost at 300 items in the shop! HOLLER! Here are some of my fave items in the shop now. There will be more soon, especially after this weekend when we will be in LA at The Rosebowl (you should come visit). And last but not least, for those who missed it- JJV was on the front page of Etsy this month! WOOT!